Walking back into my house this afternoon after being out all day I realized something. When you find a job that makes you feel like you’re playing all day, then you’ve hit the jackpot. Photography for me is fun, super fun! I never get bored with it and I’m always challenging myself and coming up with great project ideas. The past two years I’ve vowed that I was going to do my best in getting some worthy images of these quick birds but I might as well started beating my head against the wall. Warblers are hard, really hard. Ha ! I think since my last post said the same thing, it surely must be true. And so, I’ve been going out daily the past two weeks, listening hard to the birds and hoping I’d start to hear the warblers. I scoured the local Facebook birding pages to find out what other people seeing, and where. With a roughly educated guess, I headed out on Sunday as it was forecasted to be an overcast day, which is ideal for photographing warblers as you’re not fighting harsh shadows and bright spots in the forest. 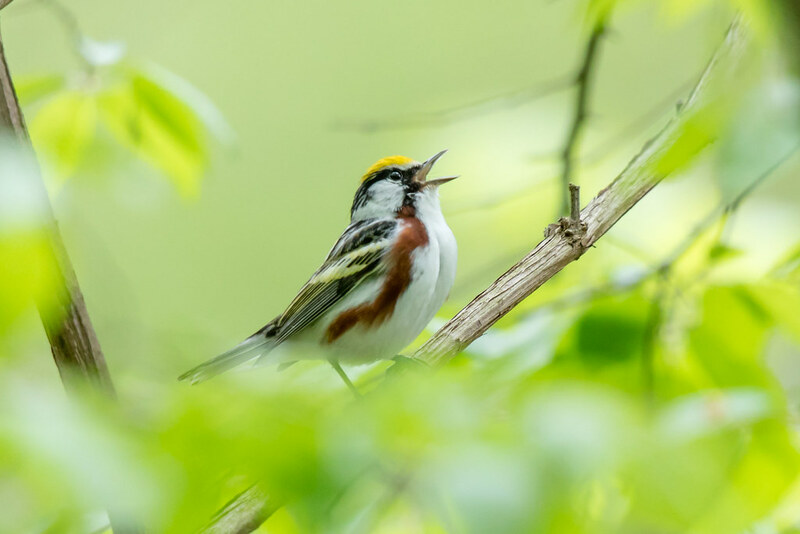 Going to a local favorite Wildlife Refuge, I got out of the car and heard a symphony of Warblers. I couldn’t believe my ears. So many birds ! Entering into the wooded trail along the river I began the long wait for them to show themselves. Standing quietly on the boardwalk I waited..and waited. Flurries of activity on a tree here and there. Waiting for them to appear on my side on the tree, and hope they stay long enough for my camera to focus on them. Hoping they picked a branch that was more open than the others. I was truly amazed as finally I arrived at the right place at the right time. In fact, I may have been in a Warbler Mecca as they kept me entertained, and elusive for hours. Five hours later, I emerged with some wonderful images of twelve species. But believe it or not, I took only about 400 images. Usually my shutter count is much higher on a birding outing. But I was waiting for the right shot before clicking away. It was perhaps one of the most amazing bird experiences I have had, short of visiting Costa Rica with the quantity of birds, and variety of species in one place. But with anything in life, things are fleeting, and within a day, the warblers began to wane in my little Warbler mecca and those that followed my footsteps weren’t nearly as successful. Photographing birds, and wildlife overall takes time. Lots of time, and tons of patience. I was asked by many “Where did you go?” “How did you see them?” Well, the not so easy answer is PRACTICE. Lots of practice and this is the 5th year that I’ve been trying to photograph warblers and looking at my images on Flickr, you can see a marked difference in the images I started with to the captures I’m able to get now. 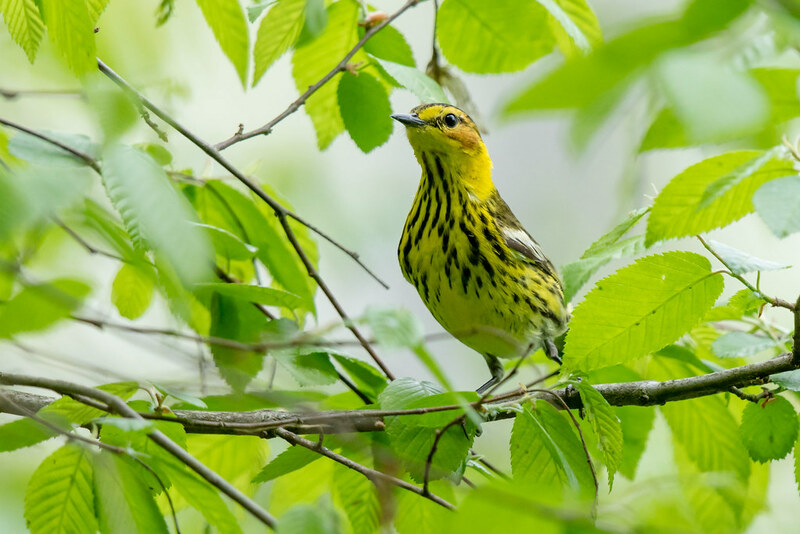 While browsing tonight I came across a great video by Cornell Ornithology that helps you get an idea of what it takes to find and see warblers. 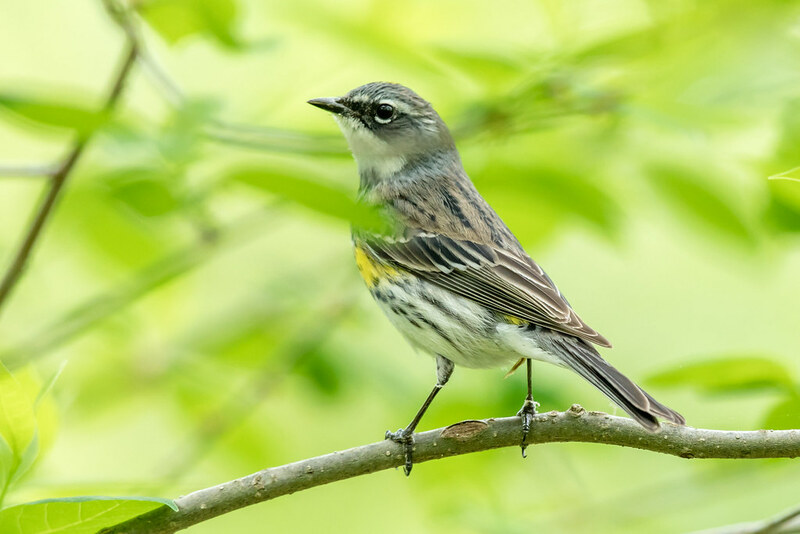 Showing a variety of warblers, along with them singing, it should be helpful in your search of these elusive beauties. Good luck to you and see you in the Loony bin. Ha! Welcome to the looney bin for sure. I love love LOVE warblers and look forward to April every year when they funnel through the Gulf Coast region where I live (and make me pull my hair out). I am super envious of your Canada Warbler! Seem to be always where he’s not .. have missed him every year. Absolutely ! And glad to know I’m not the only crazy one Shannon. I got so lucky with the Canada. He only showed when I was on my way out. I followed him and he posed beautifully for me. Thank you so much! I’m glad you are living your dream. Art makes me feel the same way. I love to paint and write books about what I paint. I am writing my first book and ideally that’s all I want to do. Problem is guest teach and am so scared about my future, I wish with all my heart that I could do this and teach others my skills but need to pay the bills right now and thinking of going back to school to get a credential but teaching is hard…. I agree Mireya – love photography but it doesn’t pay my bills. I teach on the weekends and do regular work that allows me flexibility during the week. We do what we can to follow our passion. Good luck. oh sounds great. I am looking to do the same. What a wonderful quote to go with your beautiful captures, love it! Wonderful set of shots Emily! Kudos for your patience! Warblers are cagey critters! So well said John. But it doesn’t stop me from trying. 🙂 Thank you. This week has been filled with birdsong and it is thrilling to have them back. Your photos are gorgeous, such skill, as these babies DO NOT hold still for a second! 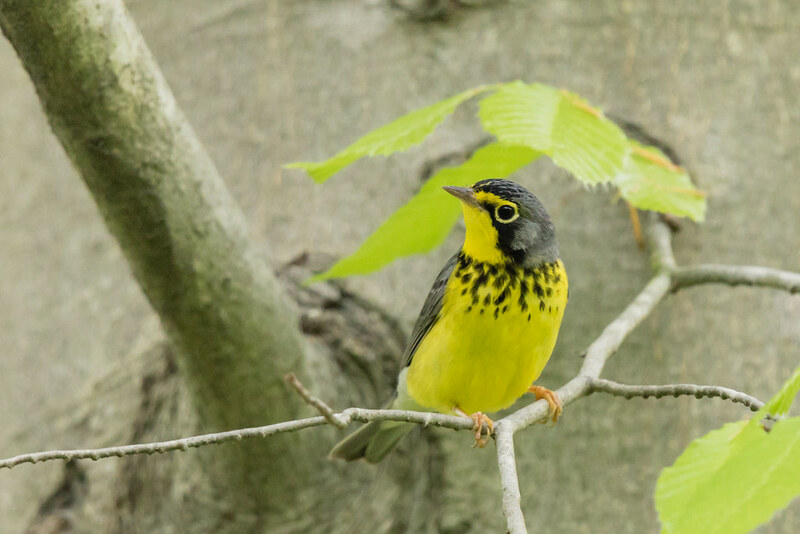 I live in Massachusetts, near a river with woodland that attracts a fair amount of breeding warblers. I mostly hear (and maybe see) black&white, yellow, common yellowthroat, redstart, ovenbird, & chestnut-sided warblers.